The award-winning BioLite CampStove's latest upgrade features 50% more power, an integrated battery, and an updated LED dashboard for improved control and feedback. 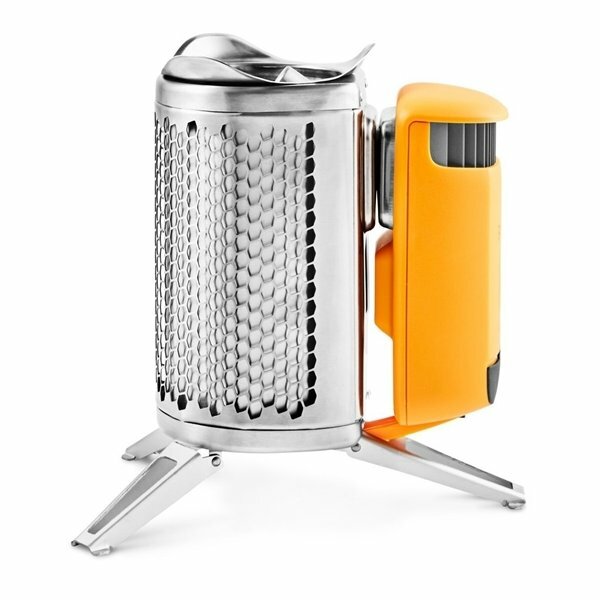 Burning only wood, the CampStove 2's fan creates a smokeless fire that can cook meals and boil water in minutes while turning its heat into usable electricity. Compatible with the KettlePot and Portable Grill, cook up wood-fired meals and charge devices, like your iPhone or other cellphone, using only the sticks around you.